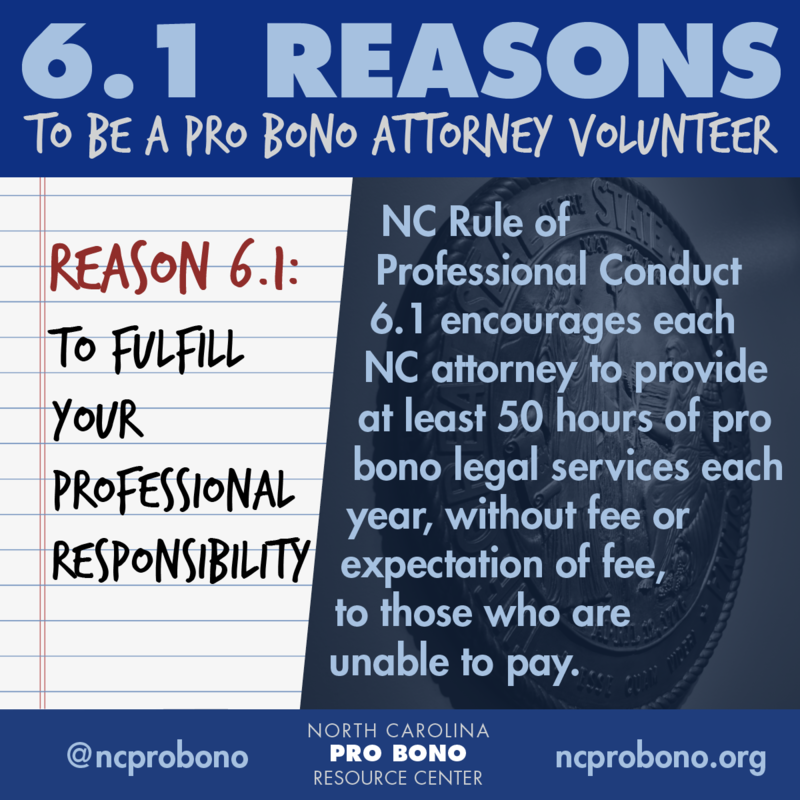 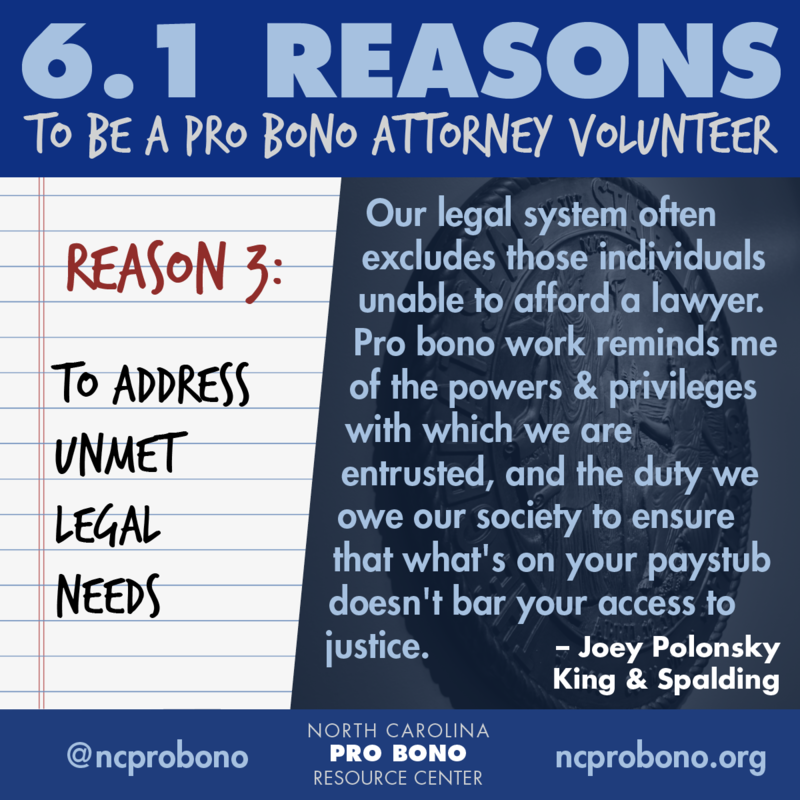 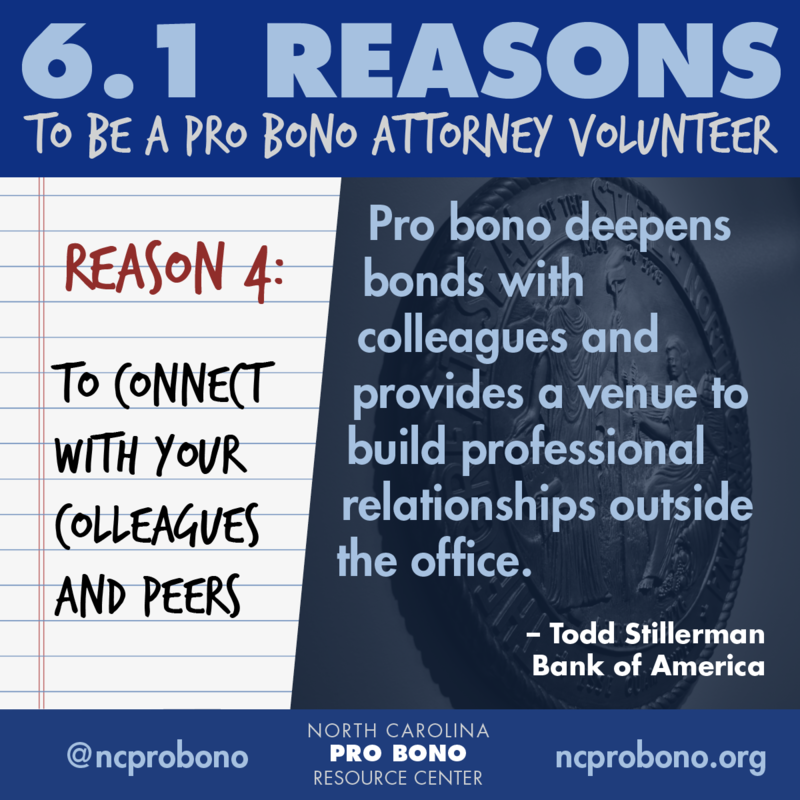 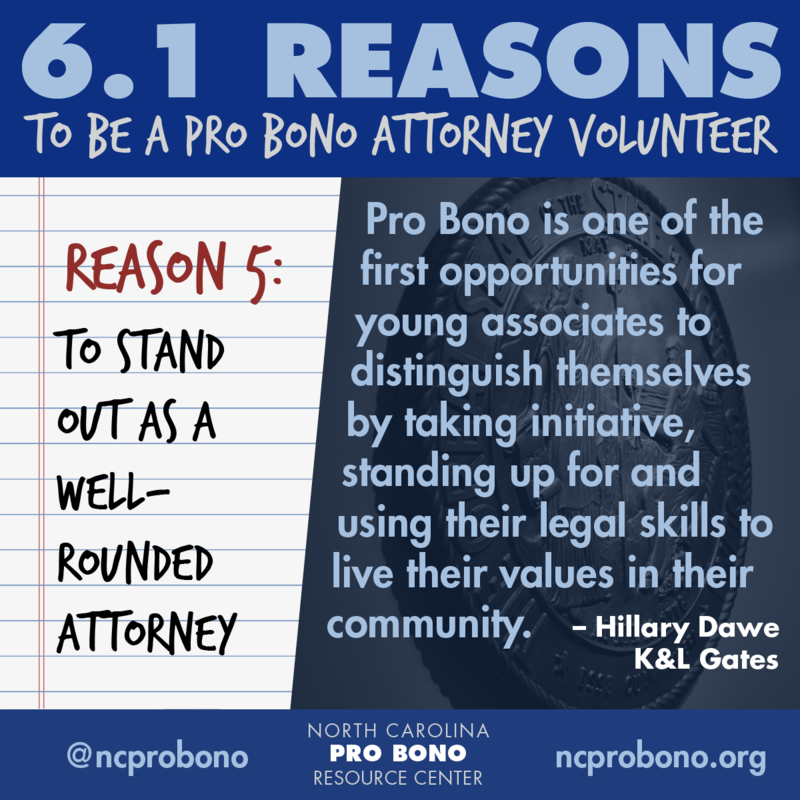 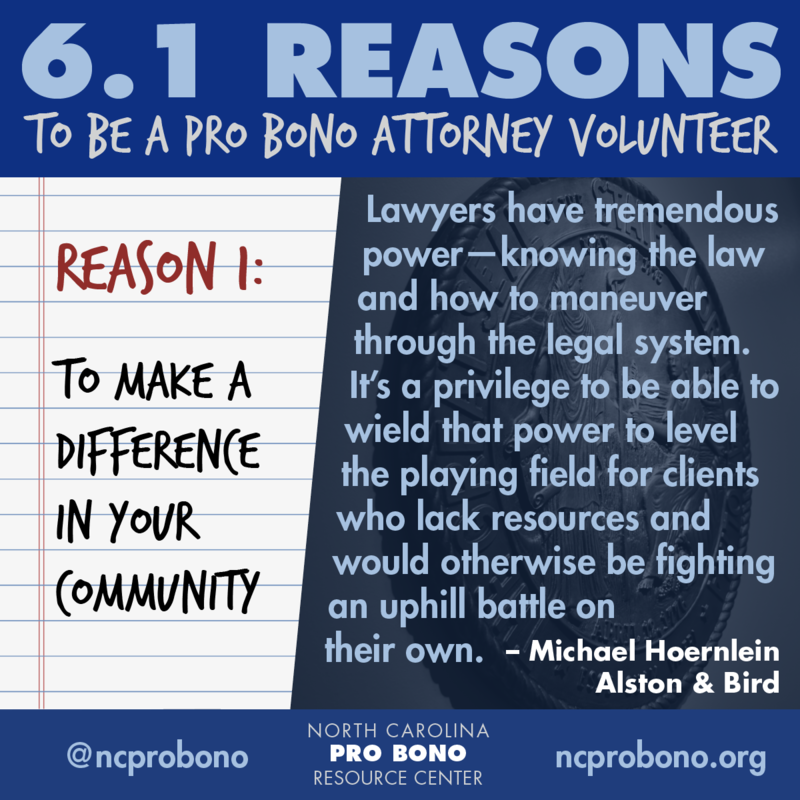 During this year’s National Celebration of Pro Bono, the NC Pro Bono Resource Center will be sharing 6.1 reasons for you to consider providing pro bono legal services. 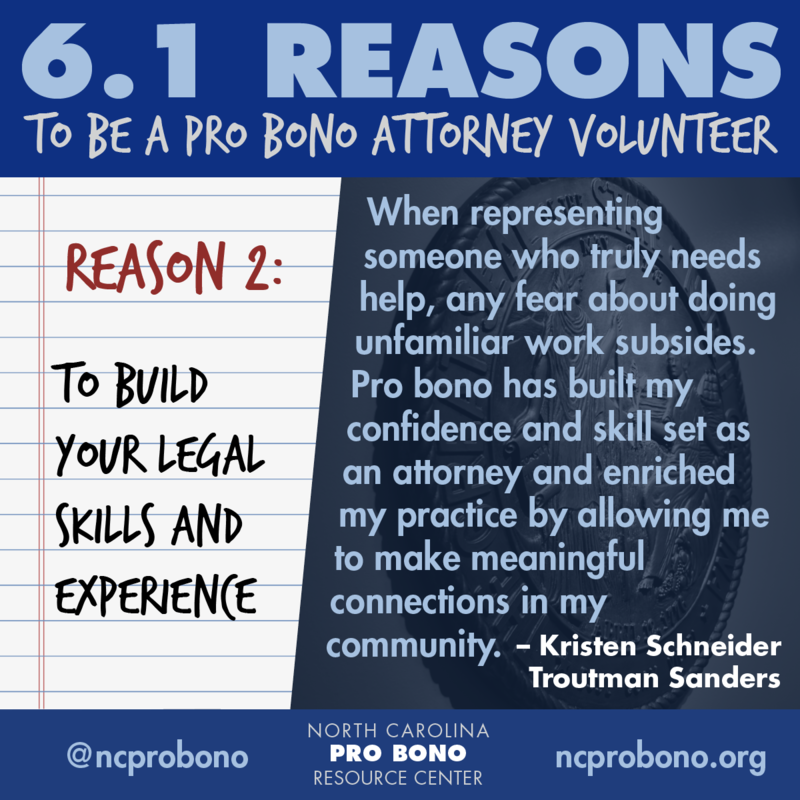 This list will continue to be updated as Pro Bono Week 2018 goes along! 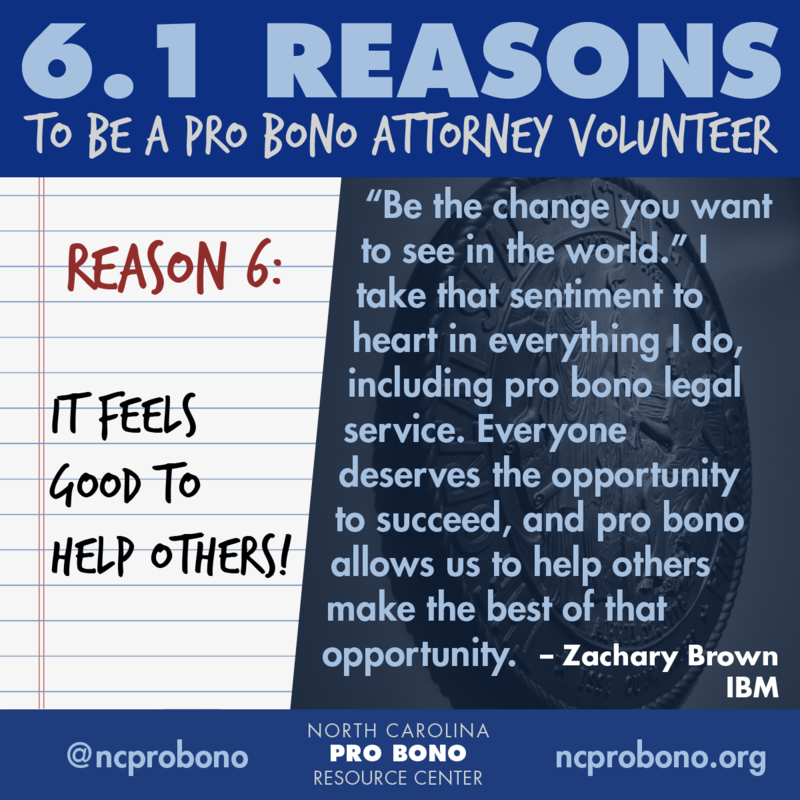 Reason 6: It Feels Good to Help Others!